I’m Chris COSeezy Strachan, founder of Kick’n It For a Cause. Since 2017, we’ve been on a mission to provide sneakers for those affected by the spread of diseases through the contaminated soil in the Republic of Congo through a partnership with my friend Emmanuel Ntibonera of the Ntibonera Foundation. 2017 was amazing! 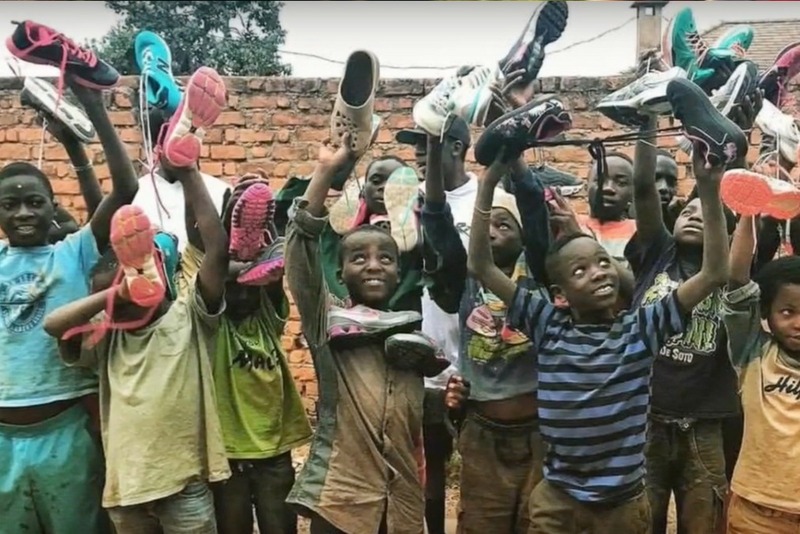 We were able to raise 30,000 sneakers to send over to the Democratic Republic of Congo (DRC). Our organization had the opportunity to hand deliver those sneakers to people who truly needed them in the DRC. After meeting with the people and seeing the issue in person, we immediately realized that we had so much more work to do. There are hundreds of thousands of people still without foot protection, food, clean water, soap, and other basic necessities. In 2018, we planned to raised 100,000 sneakers and $100,000 to make a more significant impact. However, we came short of our goal. Although we’ve raised close to 50,000 sneakers, we did not reach our financial goal. We fell well short. We felt like we failed these people and our organizations. Our perceived failure has been a blessing in disguise. When people found out the reason we didn’t make it to Africa this year was that of lack of fundraising, we received an outpouring of support from individuals and companies. We now plan to take our trip to Africa in April 2019 with 100,000 sneakers and hopefully the financial resources to bring more volunteers and provide more necessities. We are seeking to raise $50k from kind and generous people just like you. Whether you donate $1, $5, $100 or if you would like to help sponsor a shipping container ($13,000) every dollar will help us change the lives of those in need. Please make a donation and share this link to help us save lives! To view last year’s campaign click here! I’m not an experienced “fundraiser,” I’m just a guy who loves sneakers and who genuinely loves making people smile. The Kick’n It team, has used its own financial resources and personal network to drive Kick’n It For a Cause’s impact in the past and we’ve grown so much that we NEED YOUR HELP! PPF FBO Kick'n It for a Cause, Inc.